Whether you have a small garden or many acres, a flower meadow is a beautiful and engaging green space. A great alternative to large expanses of lawn, natural meadows are both in fashion and good for wildlife. 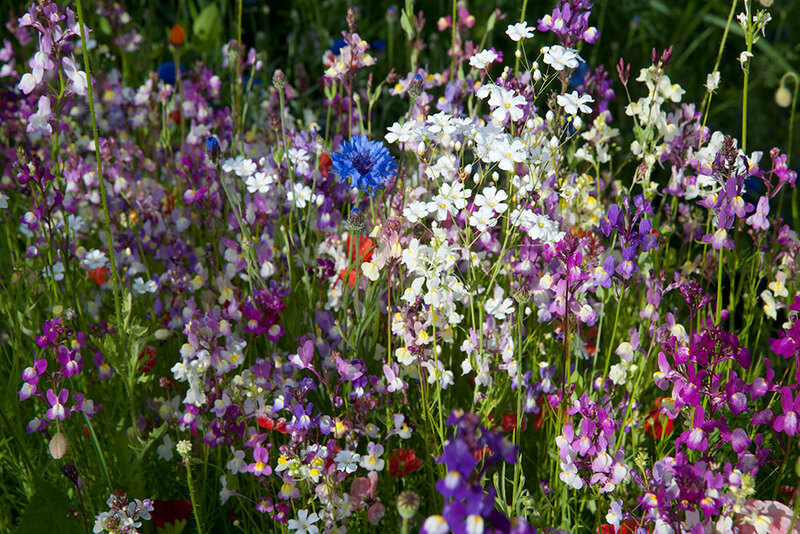 I work exclusively with the UK premier supplier of flower meadow seeds – they even provided the seeds for the stunning meadows at the London 2012 Olympic park. I have extensive experience and special training in flower meadow creation. I am able to advise you on the best types of seed mixes and layout as well as sowing and maintaining the meadow for you to enjoy for many months. 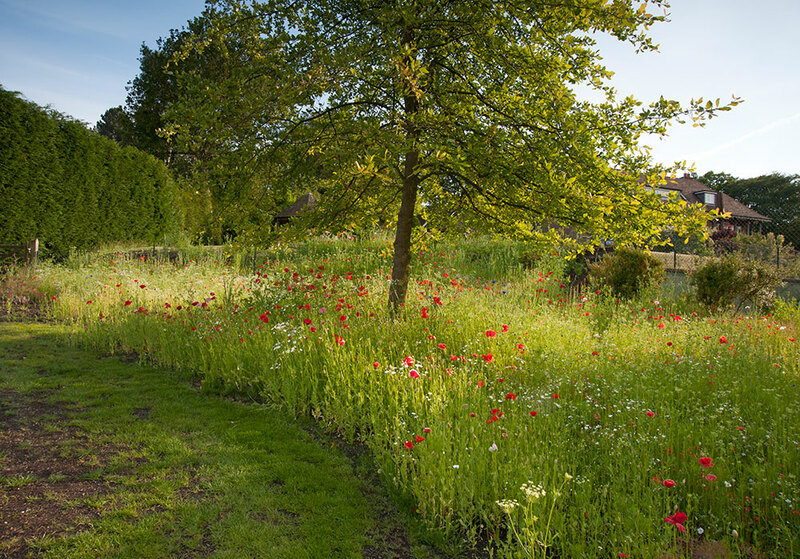 Meadows are an ever-changing pattern of natural colour that enhance any garden. Feedback from my clients who have had meadows all say that the number and variety of bees and butterflies their gardens attracted with meadows increased significantly. This means that meadow creation is often a part of a gardening naturally programme. 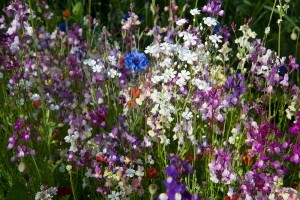 There are a wide range of different meadow mixes now available and I can also blend mixes to provide you with a unique variety of flowers and plants for your garden. The variety of mixes also means that meadows do not have to be in the sunniest parts of your garden, there are shady mixes and meadow mixes that do better in the different soil types found in Surrey, West Sussex and Hampshire. There are different pack sizes available so planting up even a small area is now possible, and you will still benefit from my bulk purchasing power due to my partner status with the seed supplier. If you are interested in having a meadow created in your garden, or commercial landscape please get in touch with me through my contact page and I will be happy to arrange to come and see you.